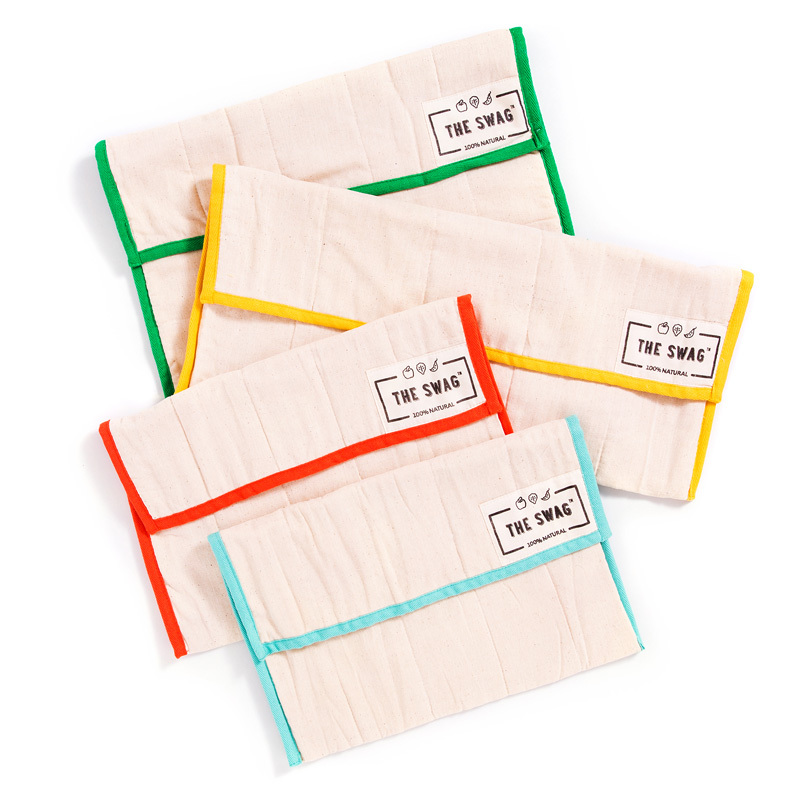 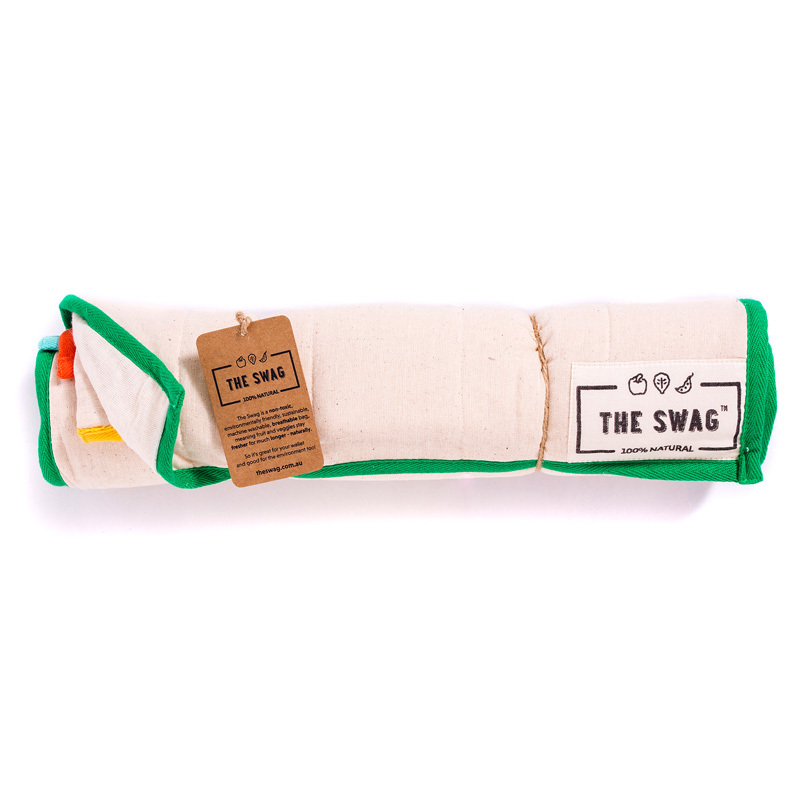 The Swag is a patented, multi-layered breathable bag which allows fruit and veggies to breathe and hydrate helping them to stay fresh, crisp and nutrient rich for much longer, naturally. 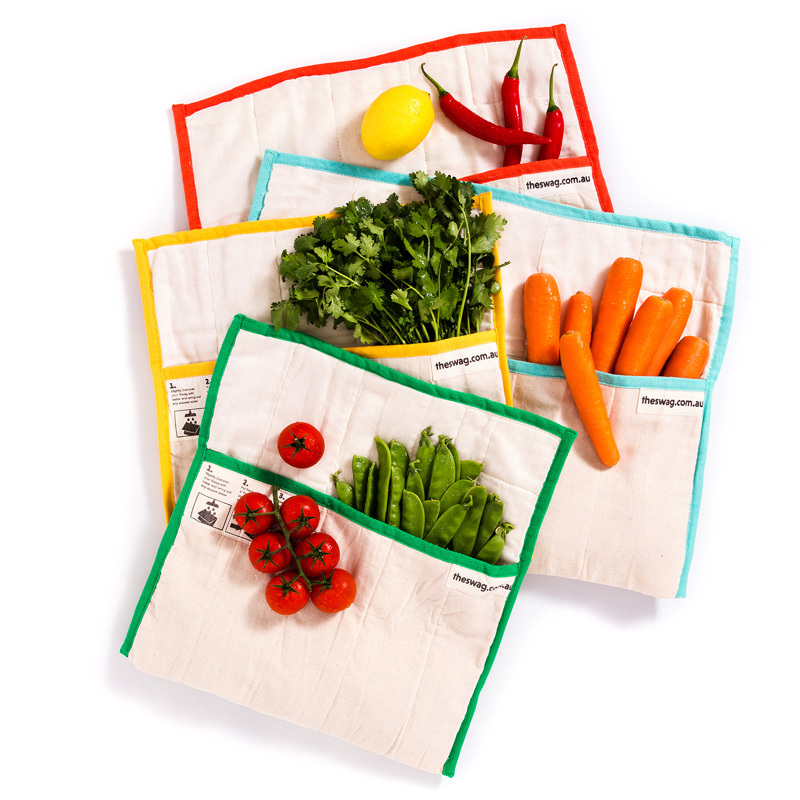 How long would you last sealed in a plastic bag or container without air or water? Not long, right!